There are dog leads and then there are BlossomCo dog leads! 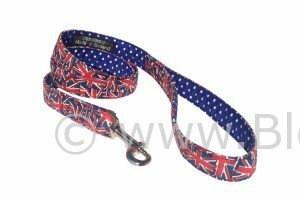 There are Union Jack dog leads, and then there are BlossomCo Union Jack dog leads! The Jack design from BlossomCo is just a super stylish collar and lead that has Great stamped all over it.